Keeping alive the spirit of SEGA’s beautiful bomb, Shenmue, the Yakuza series 1980s origin story, Yakuza Zero: The Place of Oath, will be home to a handful of classic SEGA arcade machines as confirmed by Famitsu. For those who don’t remember, Shenmue protagonist Ryo Hazuki lives in 1986 Japan and can enter his local arcade to play hits that were popular at the time. Director Yu Suzuki dug deep into his past to emulate several of his most influential classics like Space Harrier and Super Hang-On within the game. The Yakuza series, famous for its wide selection of mini-games, will follow suit. Kazuma Kiryu lives in 1989 Japan and will have access to SEGA’s classic arcade line-up: Space Harrier, Outrun, Phantasy Zone, and Super Hang-On. Not only will the games be available in HD for what could possibly be the first time, but fans can also access them through cross play on the PS Vita and take them on the go! What an amazing feature! 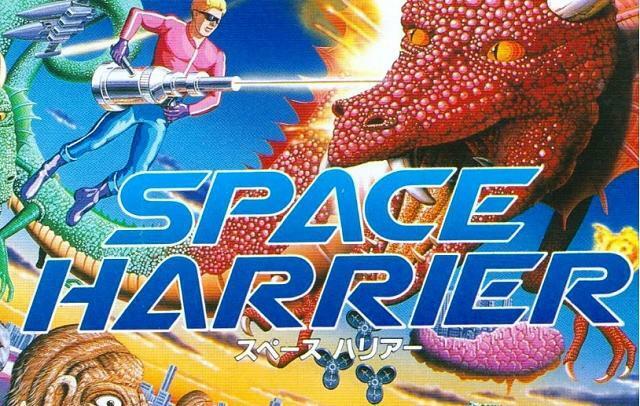 I’m especially a fan of Space Harrier, and I would be all over this if I didn’t already have it on the Nintendo 3DS. Yakuza Zero is also home to a handful of other original mini-games that can be played for in-game cash, and all are playable on the PS Vita including an exclusive “Pachislot.” The game will not have experience points in a traditional sense, and instead, keeping alive the corporate atmosphere of 1980s bubble era Japan, Kiryu will level up by amassing wealth. Famitsu reveals two further systems in which the main characters can get money. “Kamurocho Money Island” – Kazuma’s system. Players will use their money and personal connections to obtain shops and businesses, and can earn a large sum by increasing income properties. If you make use of the people you meet through sub-stories, it’s possible to control Kamurocho’s public order and business conditions. “Soutenbori Nightlife Trade Island” – Majima’s system. The goal is to be the number one cabaret club in the region. With 30 hostesses, players will be able to bring up a group of women with rich personalities. Yakuza Zero: The Place of Oath will be released for the PlayStation 3 and PlayStation 4 next year. No word yet on an American localization.